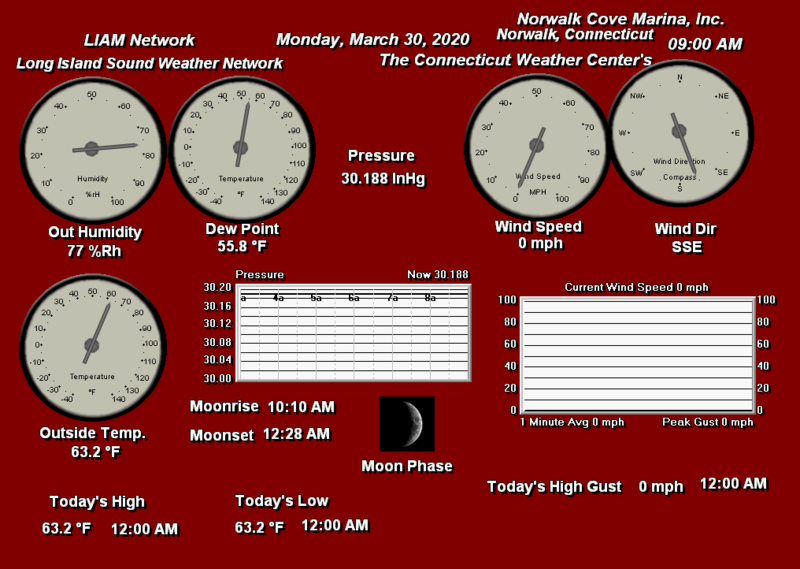 FROM NEW HAVEN: Take I-95 to Exit 16 – East Norwalk. Turn left at the light at end of exit ramp. Follow directions below. FROM NEW YORK: Take I-95 to Exit 16 – East Norwalk. Turn right at the light at the end of exit ramp. Follow directions below. You are now on EAST AVENUE. Continue straight ahead. There will be a Shell gas station several lights down on your right hand side. Take a right after the Shell station – you will now be on FORT POINT ST. Travel through one STOP SIGN and at your second STOP SIGN, take a left underneath the railroad tracks (Bridge height is 14’2). Proceed through one STOP SIGN and onto the TRAFFIC LIGHT. At the traffic light, take a left. You will be on SEAVIEW AVE. Seaview Ave. will turn into FIRST ST. At the end of First St. there will be a TRAFFIC LIGHT – take a right. You will be on GREGORY BLVD. Continue straight ahead. There will be a large monument on Gregory Blvd. – bear left at the monument and bear right around Ludlow Park. You will now be on CALF PASTURE BEACH RD (a.k.a. BEACH ROAD). 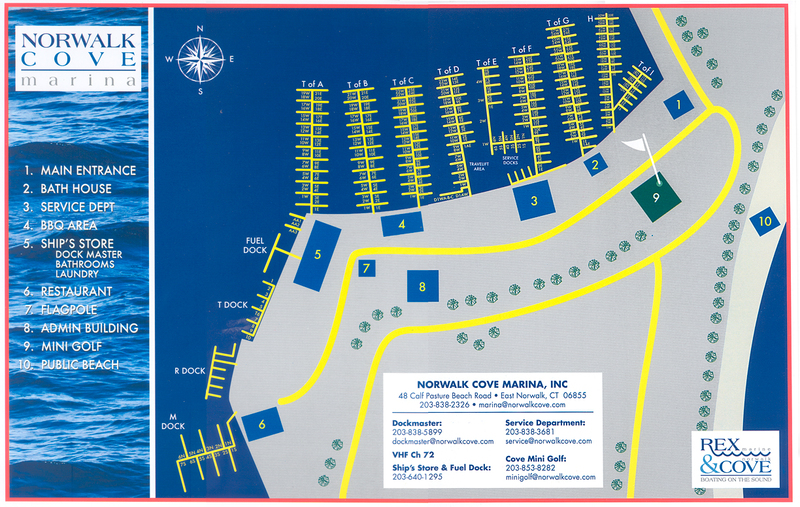 Norwalk Cove Marina, Inc. will be located at the end of Beach Rd on the right before the gates to the beach.